Foreigner are debuting video of a live performance of their 1978 classic, “Double Vision”, from the forthcoming release, "Foreigner With The 21st Century Symphony Orchestra & Chorus." Due April 27, the project presents the band’s biggest hits as compiled from a pair of May 2017 sold-out shows in Lucerne, Switzerland with a 58-piece orchestra and a 60-piece choir. 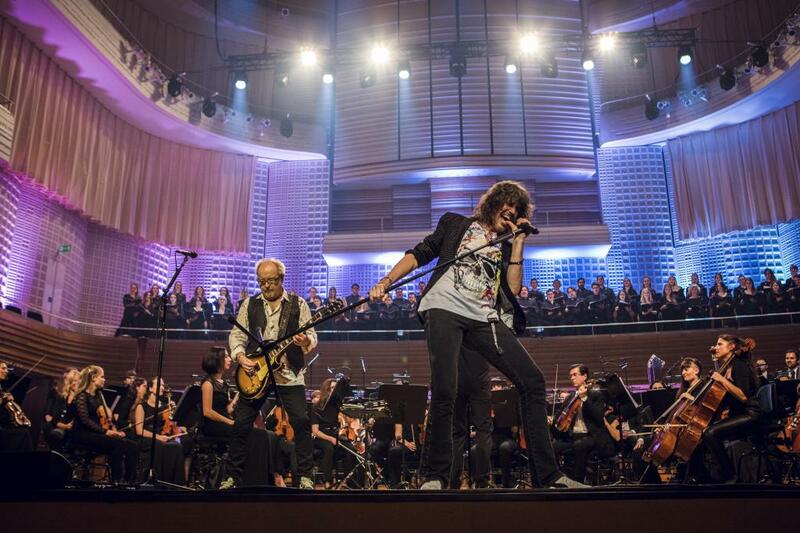 Foreigner will launch the project with a spring US orchestral concert series alongside The Dave Eggar Orchestra; tickets are now on sale for the 3-week run, which will begin in St. Augustine, FL on March 16. The spring run will be followed by Foreigner’s "Juke Box Heroes Tour" of North America this summer – with guests Whitesnake and Jason Bonham’s Led Zeppelin Evening - which opens in Bangor, ME on June 15. "Foreigner With The 21st Century Symphony Orchestra & Chorus"